OF fixed tube sheets having straight tubes of 5/8″ and 3/4″ O.D. are excellent where the heavy fouling fluids are inside tubes and light fouling fluids in the shell. An expansion joint must be used when wide temperature differences exist or abrupt temperature changes occur between tube and shell side fluids. These units feature removable tube bundles with an internally packed floating head. 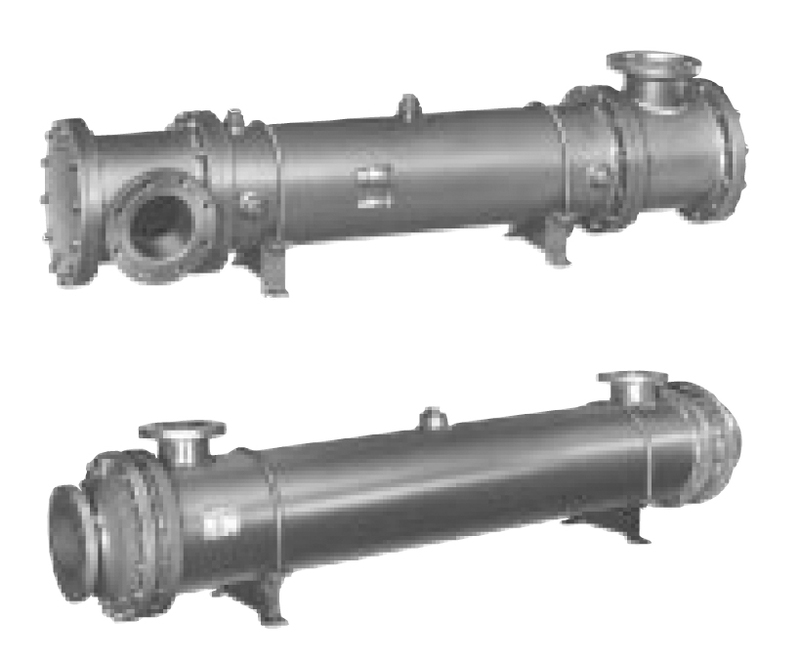 They have a wide range of applications involving transfer of heat between fluids. Sizes range from 6″ through 32″ in diameter; lengths from 2′ through 24′. Standard materials include steel shells and tube sheets, cast iron heads and copper or steel tubes. Alternate tubing materials are available on request. The design can be varied for channel-or bonnet-heads in both single and two-pass construction. Using cooling water, these Gas Coolers are adapted to cooling of gases entering tubes at 1000°F or lower. They have the same design features as the OC with 1/2″ or 5/8″ O.D. tubes.